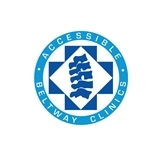 Accessible Beltway Clinics (Rockville) - Book Appointment Online! Accessible Beltway Clinics has been a leading chiropractic group in the Washington, D.C. metropolitan area since 1998. With multiple convenient locations in Maryland and Virginia, our clinics offer the best in cutting edge chiropractic care. The doctors at ABC Clinics hold leadership roles in chiropractic colleges, state associations, hospitals, and urgent care centers. They are chiropractic college faculty and post-graduate faculty members. Our doctors treat amateur, professional, and Olympic athletes locally and internationally. Our multiple locations allow you access to the best in quality chiropractic care convenient to your home or work.